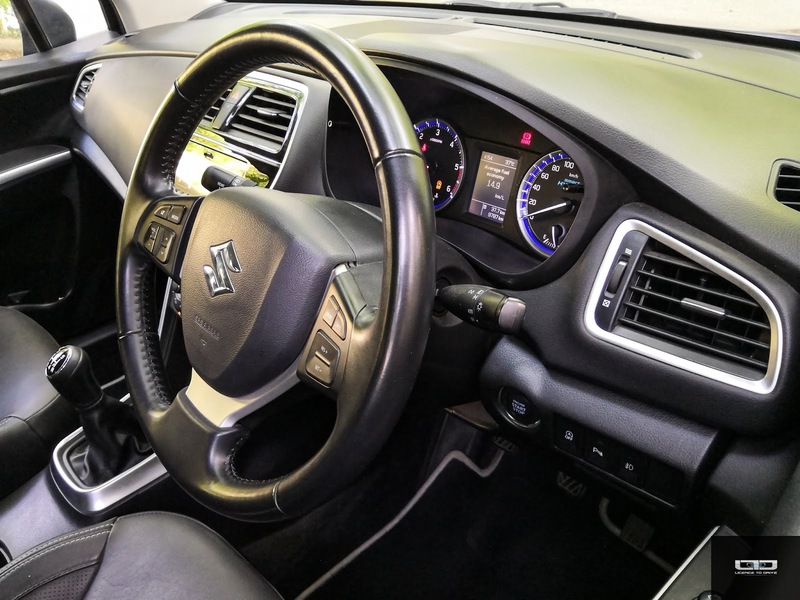 Back in 2015 Maruti Suzuki set out to change a few things about marketing its brand to the next generation of automobile customers. Those who were not weighed down by legacy or blind brand loyalty anymore, but were making measured and practical purchase decisions backed by digital research & data, peer opinion & reviews and some detailed competitive analysis. 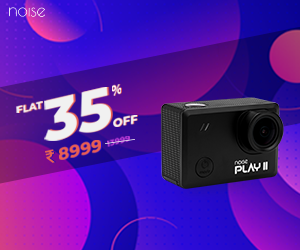 As a result, the company made some major alterations to its product line, marketing and distribution and introduced the new concept of an elevated retail experience in the form of NEXA outlets. 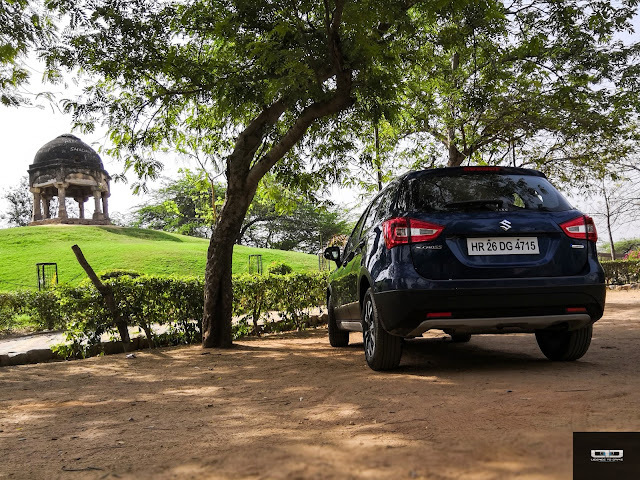 NEXA introduced the world to Maruti Suzuki's most adventurous offering yet - the S-Cross. We reviewed the S-Cross back when it was launched, and the market feedback at that time was a tad underwhelming. 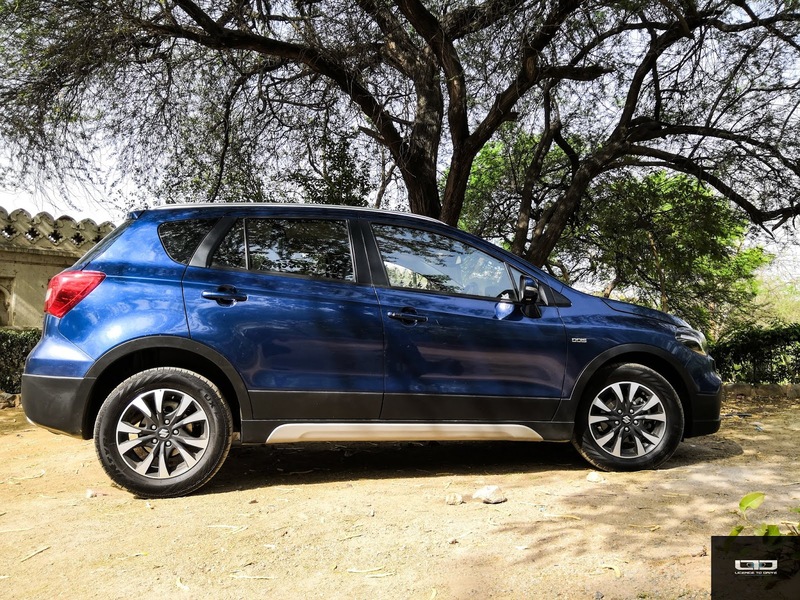 Though a good product, it was overshadowed by the Hyundai Creta which launched around the same time, and its 'premium crossover' positioning didn't quite match expectations. It seemed more like an overpriced and oversized hatchback that lacked any real crossover elements. With the refreshed S-Cross however, things are looking better. The second generation has got some much needed attention in its design, powertrain and pricing, and Maruti Suzuki seems to have responded well to customer feedback. On road visibility is on the rise, and that is an indication that things seem to be finally working for this flagship. We spent a month with the new S-Cross and were quite pleased with its well behaved on-road mannerisms. Barring the front, the new S-Cross is a bit hard to distinguish from its predecessor from a distance. A closer look however tells us that this one has significantly grown in terms of design. While the older version was a little soft around the edges, the refreshed S-Cross is all razor sharp, edgy, metallic and bold. The new grille with the vertical bar design is the most noticeable change. It lends the car a bold new face, improving its road presence by several notches. 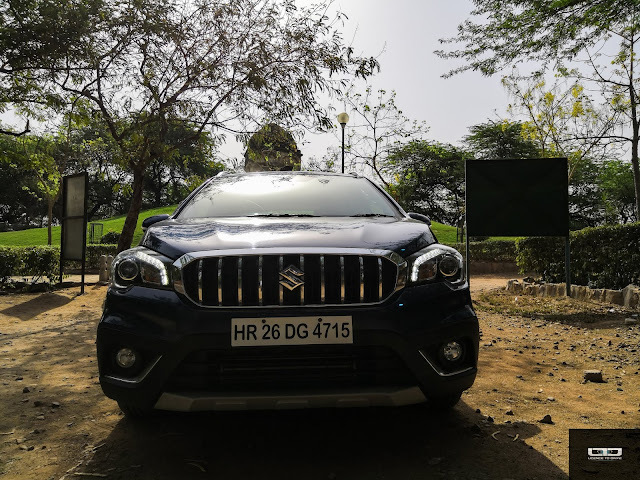 The front bumper has been reworked as well, and the new bulging lines on the bonnet give the S-Cross a level of muscularity rarely seen on a Maruti Suzuki model. The front headlamps now get a blacked out finish, which complements the LED projector lamps and the crystalline look quite well. There is something suspiciously German about how the S-Cross looks now, and that's a pretty good thing. The changes on the side however, are more subtle and easy to miss. The new wheel design is much better than before, and the two tone machined alloy wheels are more in sync with the new aggressive design. The changes at the back are even more inconspicuous, with the LED tail lamp design (in the top-of-the-line Alpha variant) being the only major alteration. 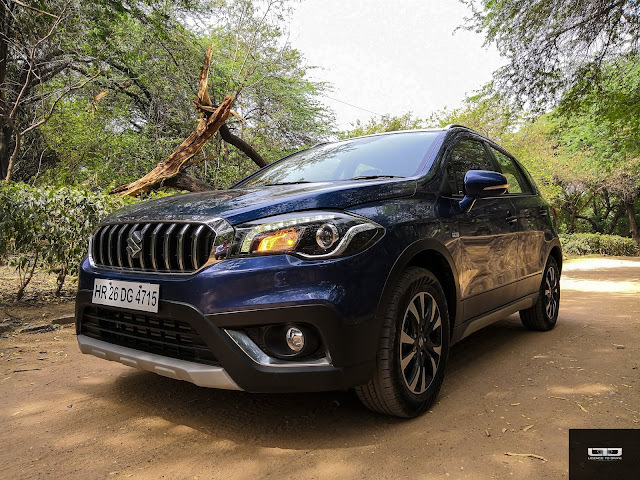 Overall, the reworked front end and minimal alterations to the rest of the design have given the S-Cross a more matured aggression, and we only wish this was how it looked when it was first launched. 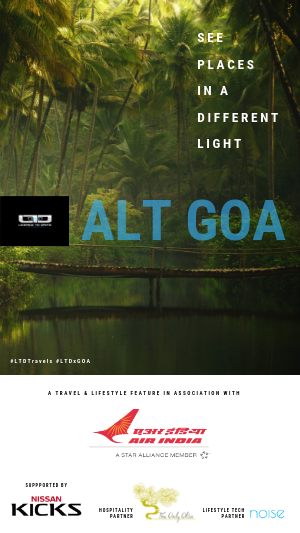 All in all, the new identity is definitely refreshing and a step in the right direction. Inside, the changes aren't too drastic either. 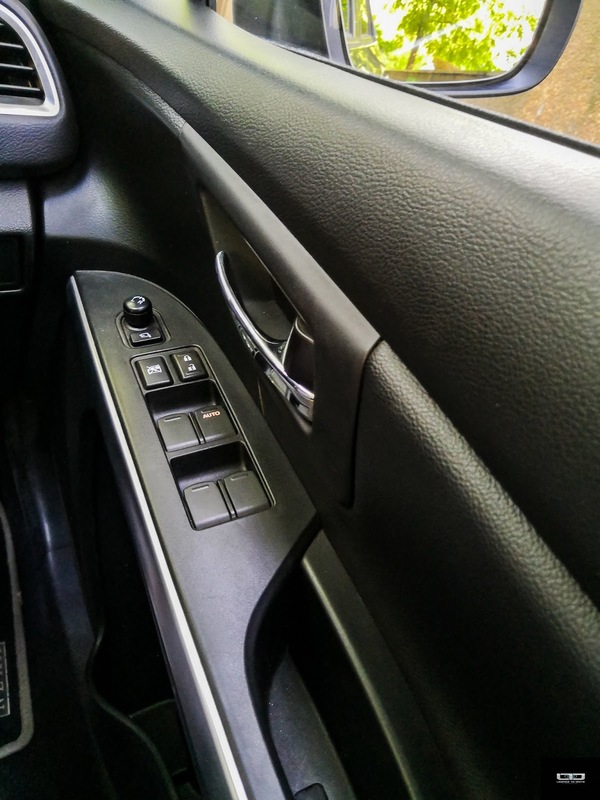 While there are some subtle alterations to the dash design, overall the cabin looks identical to the outgoing model. Having said that, the all black interior design with soft touch elements on the dash and subtle chrome accents does add a touch of class to an already well designed cabin. 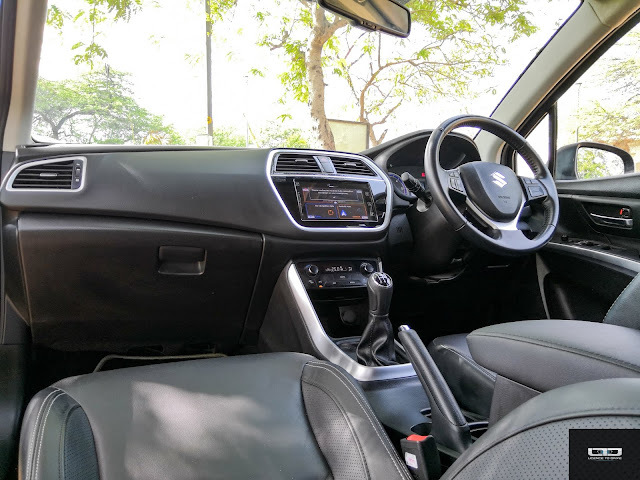 The usual bells and whistles are there, such as smart key entry, engine start/ stop button, automatic climate control, cruise control, rain sensing wipers and auto headlamps with self levelling. 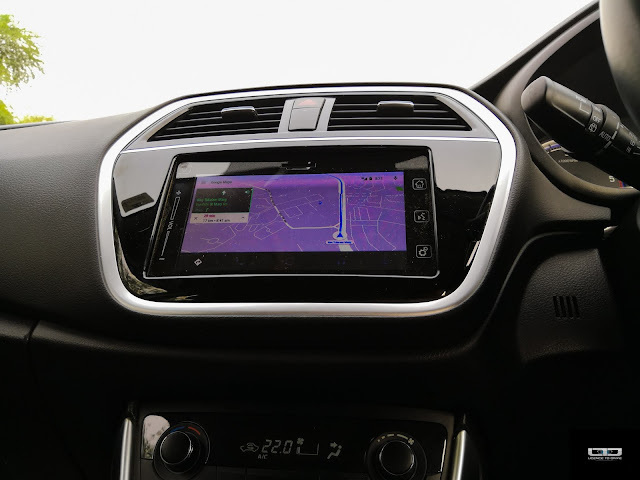 Also available is a rear parking camera, a 6-speaker audio system, and bluetooth connectivity with navigation. The now familiar 7" infotainment display takes centre stage, and it comes with Android Auto and Apple CarPlay. While the system works well, an upgrade would be welcome, considering that the same unit is now available across the mid to premium range in the portfolio. It does work smoothly while carrying out most functions, but a bigger and more premium infotainment experience would certainly set the S-Cross apart from all its rivals. 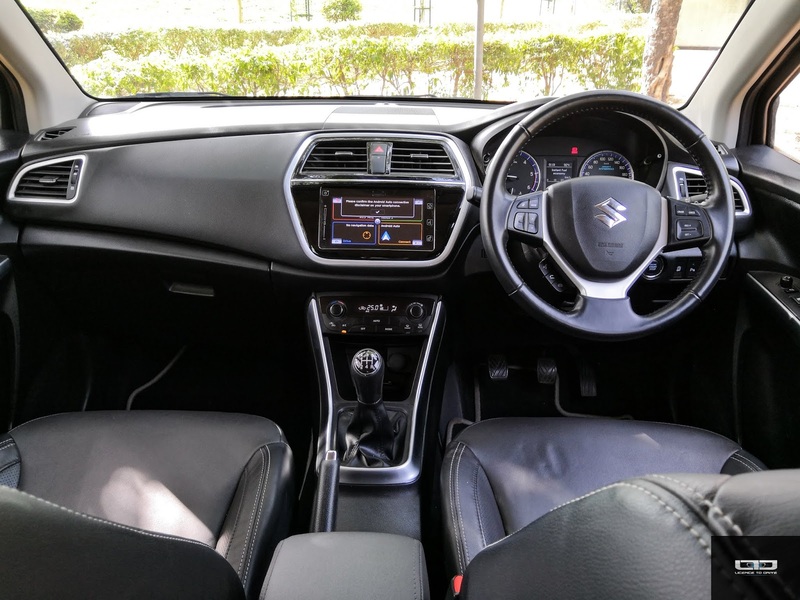 In terms of space and comfort, the S-Cross continues to rank amongst the top in its segment. With acres of legroom and headroom at the rear, the S-Cross manages to seat up to five people comfortably. 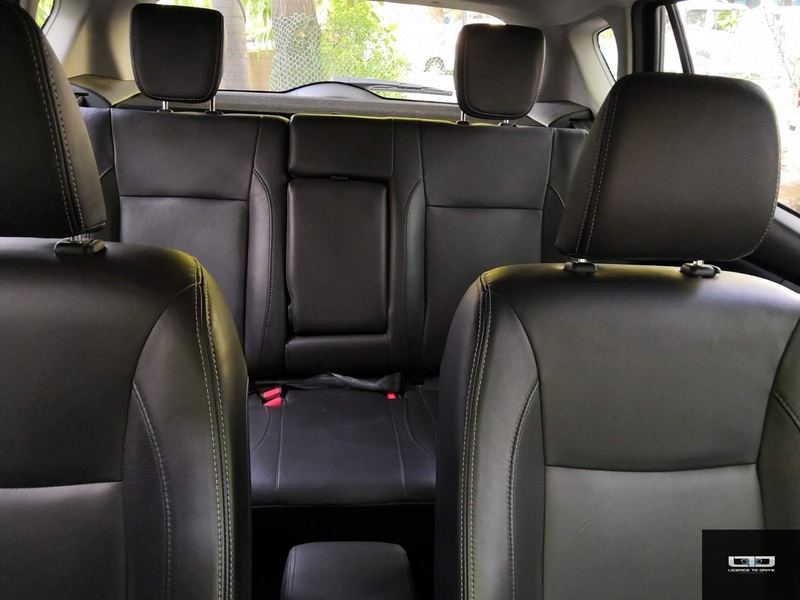 The front and rear seats are comfortable and well contoured with ample support, and there's enough storage around the cabin as well. The rear seats come with a two-position back rest adjustment. 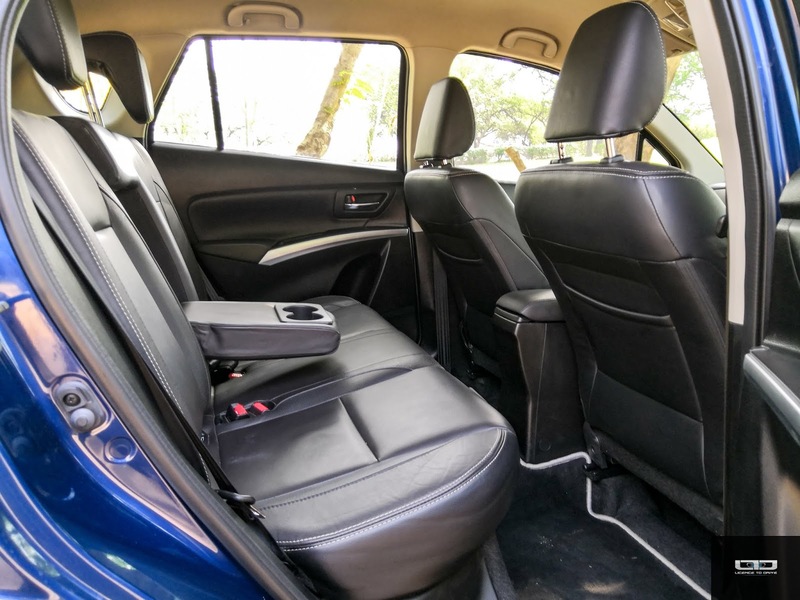 While the 375L boot space isn't the most lavish, it is quite adequate for weekend sojourns, and the rear seats fold 60:40 to offer additional loading capacity. 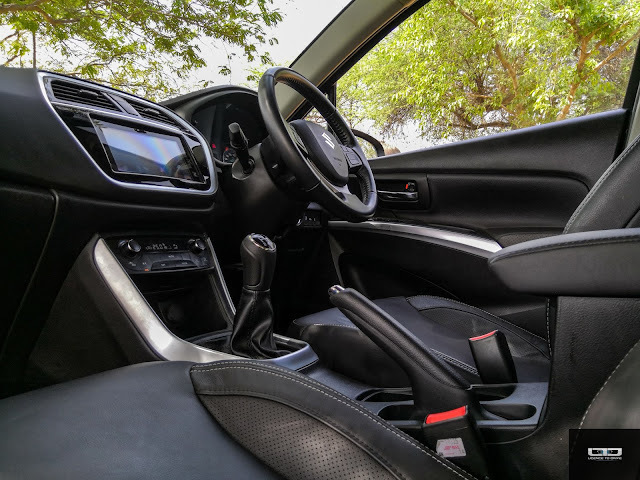 While the S-Cross is built to last with quality materials inside out, we did notice some minor knocks over our extended period of usage. The centre armrest for instance, wouldn't lock itself in place. It had a bit of play and would annoyingly rattle over bumps. Even the passenger door panel had some noise issues. While these can be resolved, the fact that they crop up in a relatively new vehicle does take away a bit of sheen from the overall first impression. Unarguably, the biggest change in the refreshed S-Cross comes under the hood. Walk around or step inside it, and you'd be greeted with some new 'Smart Hybrid' badges around the car, which point towards the new technology that Maruti has incorporated into this car. The engine is Maruti's DDiS 200 1.3L diesel motor producing 90 PS of power and 200 Nm of torque, mated to a 5-speed manual transmission. There is no automatic variant. The earlier 1.6L engine has been done away with, and an indigenous powertrain combined with higher localisation levels has resulted in a more acceptable price point that could be a deal clincher for many. There is however, no petrol option on the S-Cross. And for those who are a bit conscious about the entire environment and climate debate, it may be a deal breaker. The 'Smart Hybrid' system makes up for it though. The Integrated Starter Generator (ISG) allows the engine to shut down at idle, thus saving fuel and reducing emissions. 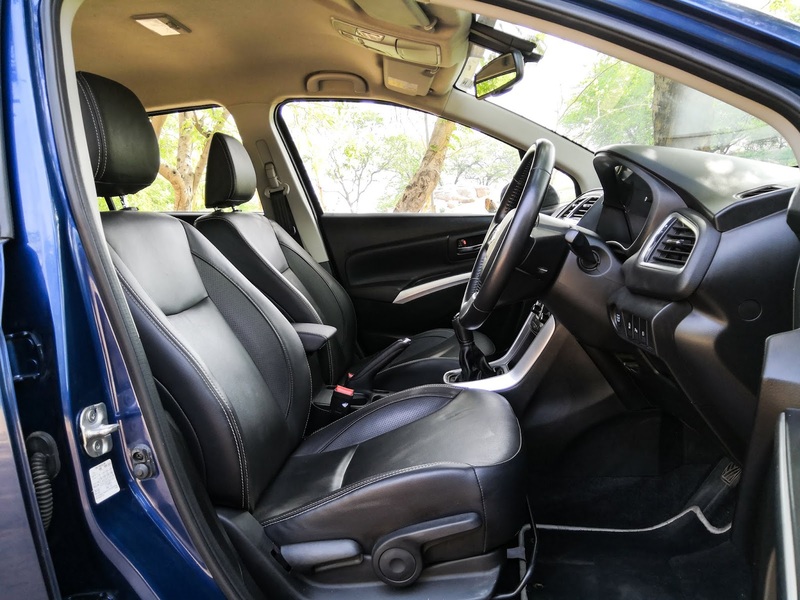 Engaging the clutch to change gears wakes it up smoothly, and the result is about 7% fuel efficiency and 10% less CO2 emission as compared to the outgoing model. The new engine also creates less turbo lag than before, and the S-Cross feels smooth in its pickup. 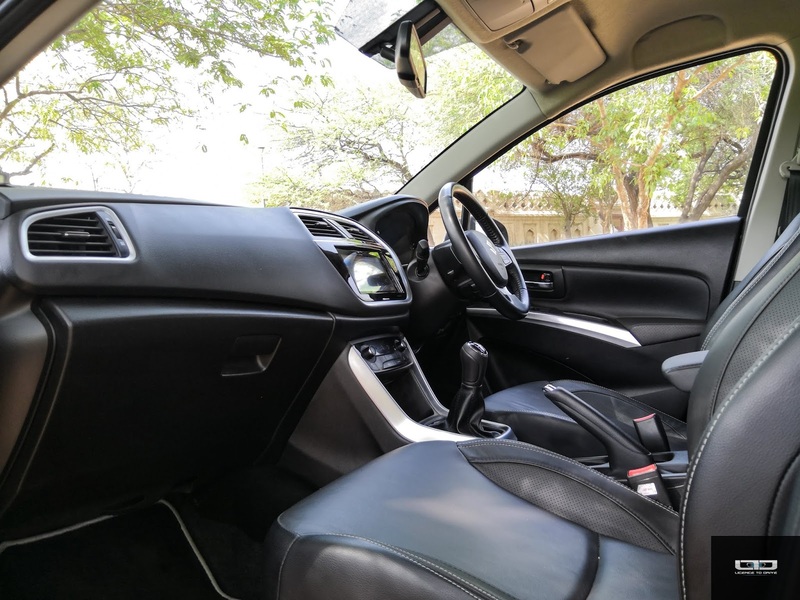 While you shouldn't expect to be blown away by the car's performance, the S-Cross manages to provide a grown up and mature driving experience that is smooth, fuss free and comfortable. Handling is great as always, and the S-Cross feels like a solid car to manoeuvre around the bends. Again, its not the sharpest to drive by any means. 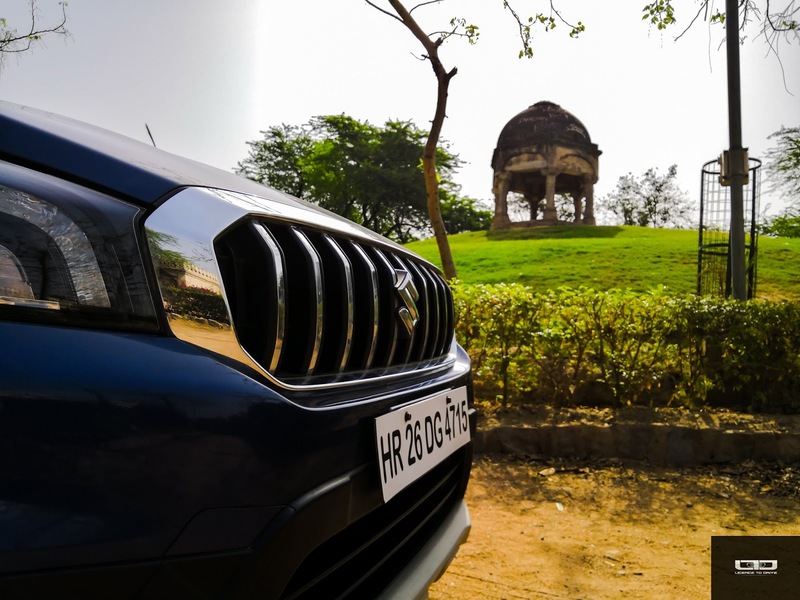 It does feel underpowered when you intend to take some quick decisions to get ahead on the road, and the engine seems to strain a bit beyond 3000 rpm. But its calm and composed handling otherwise, does induce confidence. This is actually a great urban vehicle to be driven around in. The ride is truly the best in its segment and the car handled uneven roads and broken patches with aplomb. The supremely comfortable ride is undoubtedly one of the best features of this one. The new S-Cross is an evolved creature. It continues to straddle the middle path, offering hatch like convenience, sedan like comfort and SUV like cabin space and driving position. And it does make a strong point with its modified avatar. 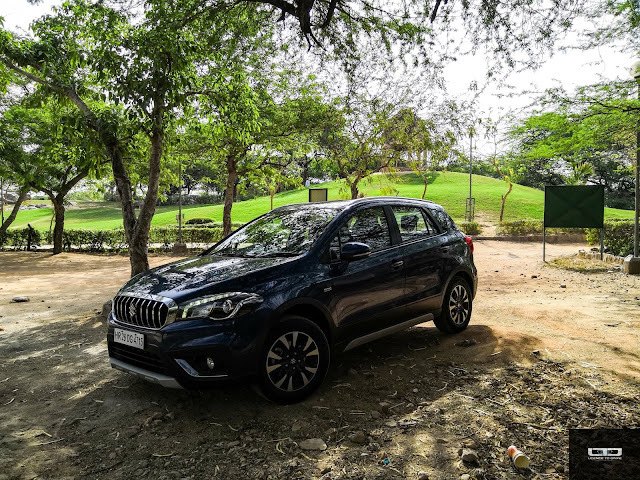 The reworked styling and the new hybrid engine system give the S-Cross a sense of novelty, and it is a complete package that doesn't really miss out on anything. It is a practical urban family vehicle that works well both within the city and is useful for those frequent weekend road trips. We drove it for over 1500 kms and returned a pretty impressive mileage of 16.5 kms/l. 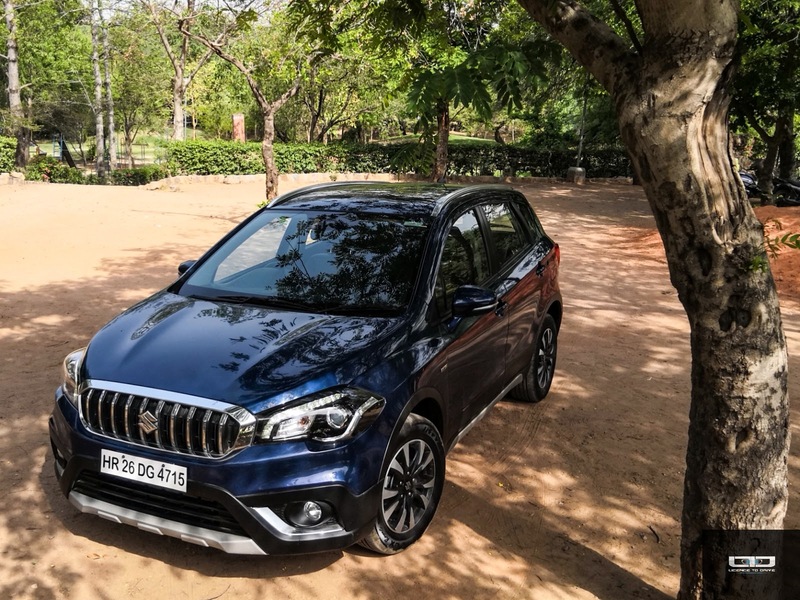 The new S-Cross starts at a price of INR 8.62 lacs (ex-showroom Delhi) for the entry level Sigma variant and goes up to INR 11.33 lacs (ex-showroom Delhi) for the range topping Alpha model, which was our review vehicle. At its current price it is a good product that checks all the right boxes. 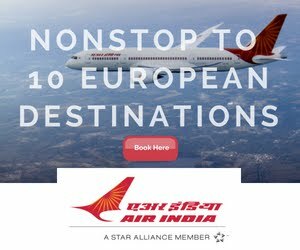 With its impressive looks, cabin space & comfort, safety features, fuel efficiency, on point performance and smart pricing, it's a complete package that is hard to beat. While we would have loved to see some more unique upgrades and a bit more punch in the pedal, that apart the new S-Cross seems to have got its act right this time around.